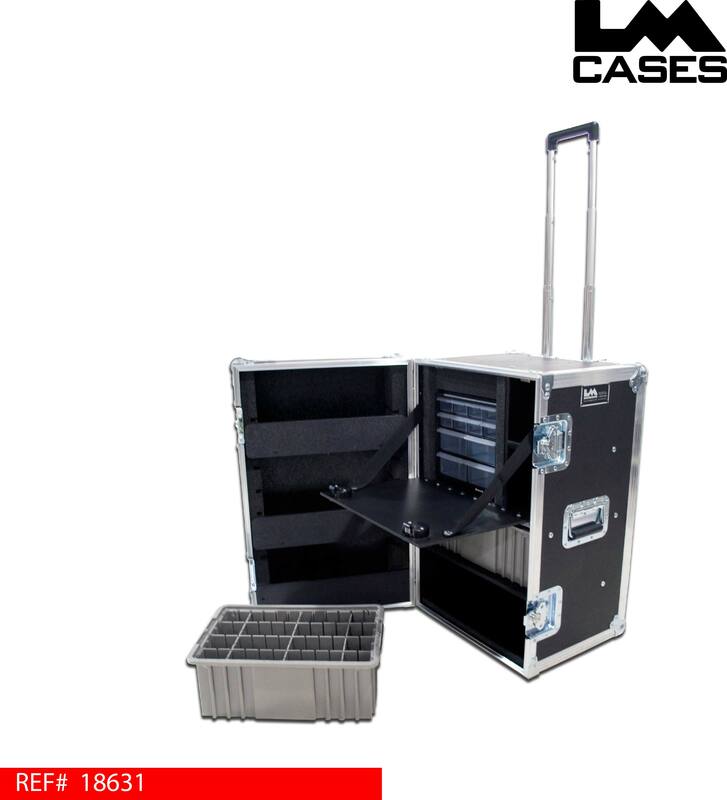 This case was built for the University of Guelph. 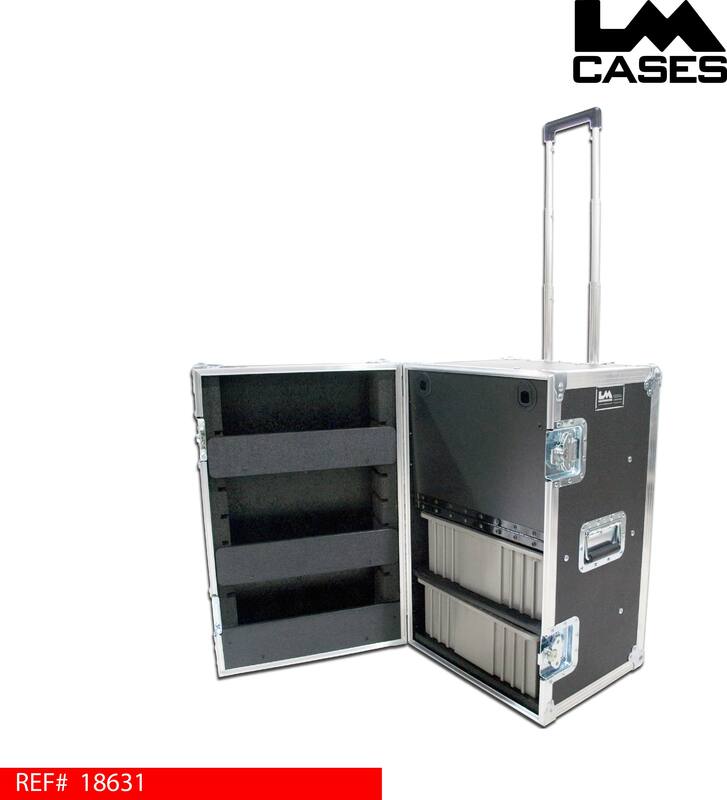 The case was designed to be used as a trainers utility case, with adjustability and multi-purposing in mind. 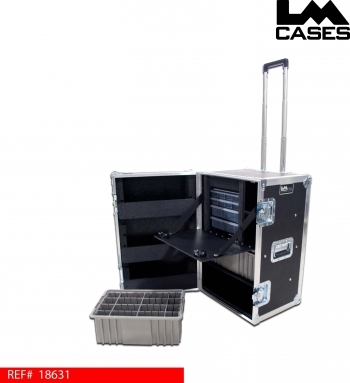 The case features custom movable shelves in the lid allowing the shelves to be moved to accommodate a variety of items that need to be stored in the lid. Also included are 2 removable plastic bins with removable and customizable divider networks in each bin. 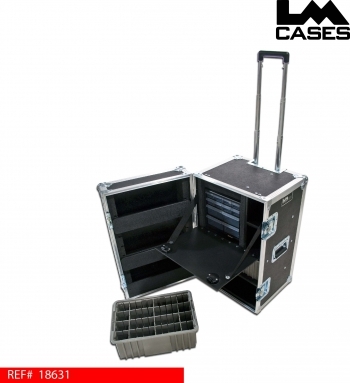 The top portion of the case features a small plastic bin unit that allows for storage of small parts and pieces. 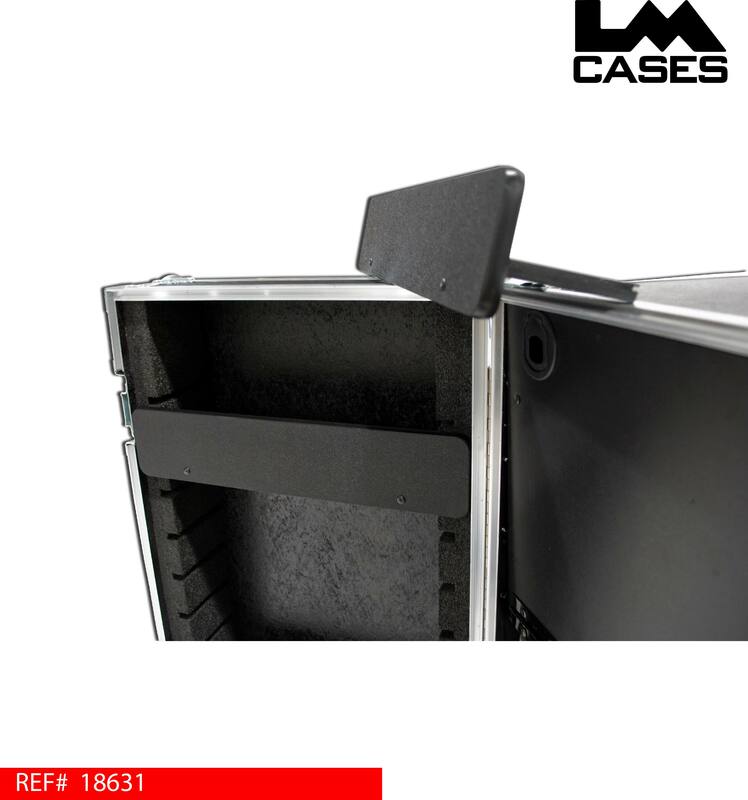 The top compartment also features 2 storage spaces and a drop down door that doubles as a work surface. 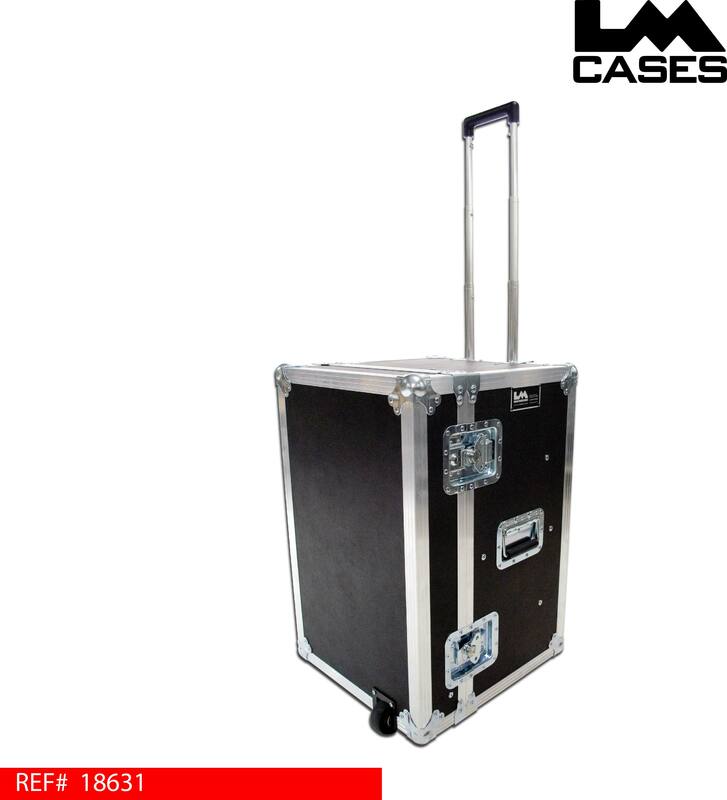 The case was built out of our proprietary 3/8" composite material to make the case stronger and lighter than traditional plywood panels. The case also features a telescoping aluminum handle and inboard mounted dolly casters for easy portability. Special thanks to the University of Guelph!